Celery Juice Is Getting Popular, But Is It Even Healthy? The trendy drink is all over Instagram, but is it good for you? An expert weighs in. Celery is the fiber-filled veggie that’s easy to overlook (except when it’s paired with a bloody mary or buffalo wings, of course). But the humble stalk has been having a resurgence recently, and it’s all thanks to enjoying this veggie in a different form: as celery juice. 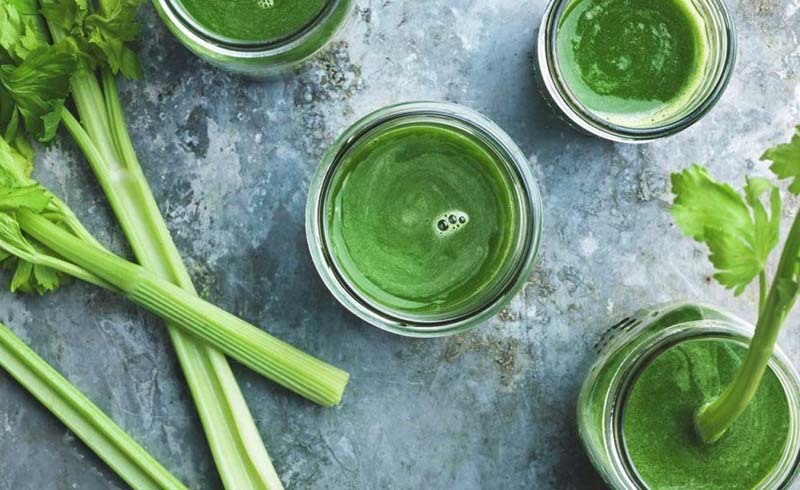 Celery juice seems to be the fountain of youth, according to health bloggers and Instagram influencers, which has given this traditionally boring vegetable a new spin on life. 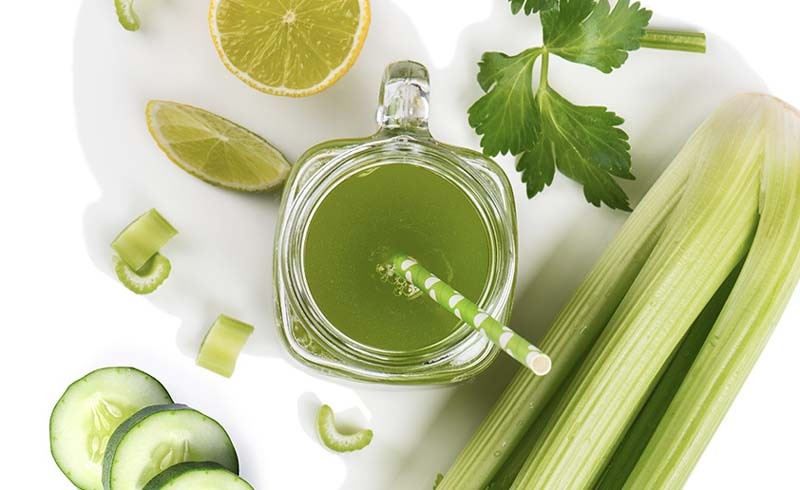 Simply search for #celeryjuice on Instagram, and, as of this writing, you’ll be faced with over 100,000 results of photos of the drink and smiling selfies, all praising the green powerhouse. Continue scrolling through, and people claim that celery juice has cleared their skin of blemishes, given them more focus, and healed their bodies from the inside out. And this juice trend is moving full-steam ahead, thanks to celebrities who swear by it (Miranda Kerr and Busy Philipps are fans) . But is celery juice healthy? Here’s the real, nutritious scoop on the green stuff and whether you should actually hop on this new trend. The crunchy green stalk is not just low in calories. It also packs a lot of nutrition for a food that’s often been forgotten until now. With 9 calories per stalk, celery is “a good source of fiber and a variety of other nutrients, including folate, potassium, and vitamin K,” says Dorothy Nugent, RD, LDN, CNSC. This fiber-filled veggie has other possible health benefits as well, such as reducing inflammation, blood pressure, and the risk of cancer. In a study published by Molecular Nutrition & Food Research, celery was found to contain several flavonoids (a type of antioxidant), specifically apigenin, which demonstrates anti-inflammatory properties. Diving further into its antioxidant profile, celery is also home to the following compounds: caffeic acid, p-coumaric acid, ferulic acid, apigenin, luteolin, tannin, saponin, and kaempferol. According to a review by Evidenced-Based Complementary and Alternative Medicine, celery is capable of decreasing glucose and blood lipids, and the seeds can aid in the treatment of chronic skin disorders, like eczema and psoriasis. Should you drink celery juice? However, fiber in celery can only be present when celery is in solid form—not when it’s juiced. “When a vegetable is juiced, the fiber is removed, and most of the fluid, vitamins, and minerals are left behind,” Nugent says. Moral of the story: you miss out on making the most of the mentioned health benefits when you juice celery. Nugent recommends eating celery in its whole form to gain the most health benefits. So, push your smoothie cup to the side and make room for solid celery—using it in dips, salads, sandwiches, or as a flavoring agent in soup. At the end of the day, celery pairs well with a variety of foods and is an excellent addition to clean eating habits. You don’t need to juice it to squeeze its health benefits into your life! U.S. Daily News: Celery Juice Is Getting Popular, But Is It Even Healthy?